I’m sure that by now you already know I am a huge fan of audiobooks, so I’m very happy to host Victoria Kincaid today to let you know about the release of two of her books on audible, President Darcy which I have loved but not reviewed yet (another great reason to relive it through the audio version), and The Unforgettable Mr. Darcy narrated by one of my favourite narrators, Stevie Zimmerman. “Intellectual lightweight.” The phrase niggled at Darcy’s memory. Where had he heard it recently? Not that it mattered anyway. He’d probably imagined any connection between them—wishful thinking brought on by too many lonely nights in the Residence. First, she babbled, and then she acted like he’d killed her cat. Perhaps she was just a strange person. Then he recalled he had used the phrase in describing Elizabeth to Hilliard. And somehow, she had heard him. No wonder she had been icy and distant. Darcy was lucky she hadn’t flung a drink in his face. His cheeks heated and his chest tightened as he imagined her overhearing his uncensored remarks. Now that he knew she wasn’t a pampered rich girl, his comments were even more egregious. He grappled with an intense desire to leave the room—or hide behind one of the eight-foot-high floral arrangements. The proper course would be to follow Elizabeth Bennet and apologize. But he certainly couldn’t chase after her, Secret Service agents in tow, begging for a moment of her time to explain—what, exactly? He couldn’t claim he hadn’t meant the words; there was no denying he had said them. She probably wouldn’t even listen to a convoluted explanation about his annoyance with Hilliard, let alone believe it. However, it was equally unimaginable not to apologize. Darcy started after her, but a hand on his elbow pulled him back. Bob Hilliard yet again. 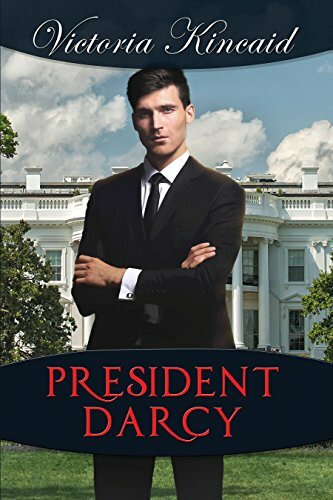 One glimpse of the man’s white-lipped frown and tense shoulders prevented Darcy from voicing his complaints. Darcy frowned at Caroline, who handled social media. His predecessor in the office had been a disaster on Twitter, but most of Darcy’s tweets—posted by his social media staff—were about his policy positions. “Not your Twitter account,” Caroline clarified. “There’s a guest here tonight by the name of Lydia Bennet.” Darcy couldn’t recall which sister she was. “She has a picture of herself with you.” Darcy shrugged; people posted pictures with him all the time. Darcy tossed back some more scotch. “Elizabeth Bennet heard me insult her in person?” Hilliard nodded, and Darcy stifled a groan. He had harbored a small hope that she had heard it from a third party. I’m lucky I got off with a cold shoulder instead of a slap to the face. “The Washington Post wants to know if we have a comment,” Caroline said. Caroline took notes with brisk efficiency. “We can say ‘no comment,’ but perhaps we should get someone working on damage control.” She shot a quizzical look at Hilliard, who nodded. “What?” Hilliard’s voice squeaked, and Caroline barked a laugh. “I was irritated at you.” He waved at Hilliard. “And it was an insensitive thing to say. I didn’t even mean it.” Darcy’s breathing constricted just thinking that she might believe those ill-considered words. They were beneath him and beneath the office of the president. “Stupid rule.” Darcy hated to maintain a façade of infallibility. Presidents were human and made mistakes. Pretending otherwise was idiotic and counterproductive, but admitting to errors gave your enemies too much ammunition. He gripped the scotch glass so tightly that his fingers turned white. “If we don’t say anything, it will likely die down,” Hilliard said. “Why bother?” Caroline asked sharply. He drained the last of the scotch and slammed the glass down on the table. “Because it was rude and inaccurate. She’s neither stupid nor ugly,” he growled at Caroline, not even caring when she drew back slightly. Darcy thumped the glass on the table, startling Caroline. “Great. Just great,” he muttered to himself. Elizabeth would continue to believe that he thought she was unattractive and dumb, and the whole world would think he’d insulted a woman he barely knew. And he’d been barred from speaking with the most intriguing woman he’d met in years. To enter the giveaway all you have to do is comment on this post and share your thoughts on the excerpt Victoria shared with all of you, and let us know which of the two you would prefer to win. Also, please do not forget to check the blog to confirm if you were the winner 🙂 Unfortunately if we don’t hear anything back from the winners we will have to announce new winners. How are you today? I hope your weekend was great and that your are ready for another week 🙂 This Sunday I was dedicated to my new hobbie, and I’m quite happy with the results! It’s taking away some reading time, but I really enjoy making postcards! I even made one that could easily be send to one of you 🙂 What do you think of it? 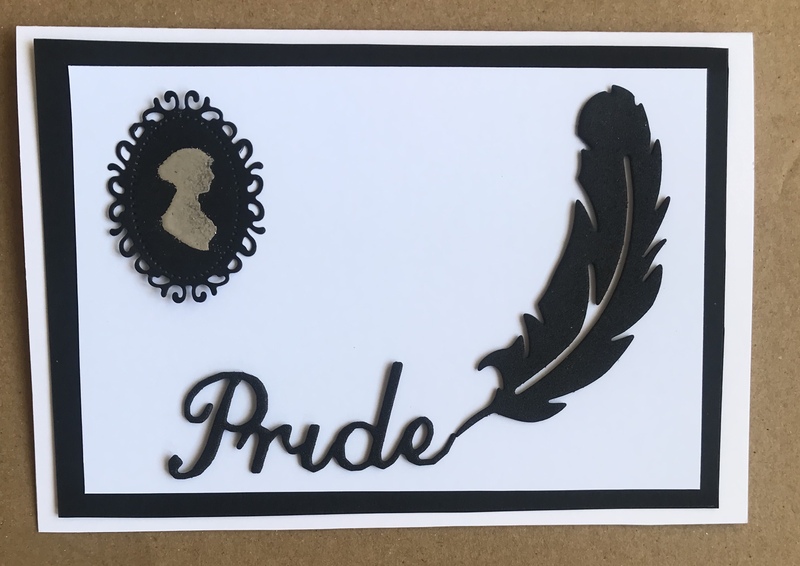 But I won’t bother you anymore with my arts and crafts, after all, I am publishing this post to announce the winners of the Pride and Proposals audiobook giveaway that was held here at From Pemberley To Milton. I reviewed the audiobook copy of Victoria Kincaid’s book and Erin Evan’s-Walker who narrated it decided to offer my readers 3 audiobook copies. This was a very generous offer from her, and I would really like to thank her for it. I would also like to thank all who have supported her work by commenting on this blog and sharing your opinion on audiobooks with us 🙂 I’ve said time and again, this wouldn’t be the same without you. Congratulations girls! I hope you enjoy listening to this books 🙂 Can you please send me your addresses to ritaluzdeodato at gmail dot com so that your prizes may be sent to you? Here, we give the spotlight to the ladies of Pride & Prejudice. The ladies of Longbourn are missish. Their scenes were cut, or never written, for the book and being excluded from all “scenage,” they now demand their share of the conversation. They also demanded to set their MAJORLY IMPORTANT scene in London. However, for purposes of the authors, they instead occupy the drawing room at Netherfield. The boxes and packages had been swept away by the footmen, refreshments had been ordered, and the brides-to-be and their female relations were settled at Netherfield, awaiting the arrival of tall, gallant and, in at least one case, certain to be voraciously hungry, men. “And fond of his biscuits,” added Mrs Gardiner. “Like Tuffy,” Caroline mumbled. “Silly dog.” Conscious of the heads turning her way, she cleared her throat. “Where is that tea?” She stepped out of the room, still muttering. “Many, many fruits. So much fruit.” Louisa Hurst sighed. “Kitty, be kind,” Elizabeth said quickly. The silence that greeted Elizabeth’s proclamation was filled only with the tinkling sound of Louisa Hurst’s bracelets. Georgiana, seated across from Jane, smiled. Quietly. “That bouquet of wildflowers he gathered for me on Monday was so pretty,” Jane added. “It soothes his skin and smells so nice,” said Jane. “I do not know the word for it, but my brother smells like home to me.” Everyone turned to look at the nearly forgotten girl sitting beside Elizabeth. Georgiana promptly shrank into the sofa. Elizabeth laid a protective hand on Georgiana’s arm. “I have never seen him less than perfect in either his manner or his grammar,” Mrs Hurst replied. Kitty shifted in her seat, twisting about and plunging a hand under the cushion. “Aha!” she cried, pulling out a well-thumbed copy of The Romance of the Forest. Mary gasped just as Colonel Fitzwilliam strode into the room with Miss Bingley and two footmen carrying tea trays. The ladies beamed up at their newest guest; Kitty and Mrs Bennet each patted the empty cushion beside them on the sofas. “Untrue!” Elizabeth and Georgiana cried out together. The ladies sighed as one. Except for Caroline, who groaned into her tea. “They share a fondness for nature and walking.” Jane managed to nearly glare at her younger sister. “That is a most wonderful thing,” sighed Georgiana. “If Mr Darcy is not the most interesting man in the world,” Elizabeth said gaily, “he is surely the best man in the world. J.L. Ashton, on the other hand, is a very unserious writer of Jane Austen variations you might have read (A Searing Acquaintance and Mendacity & Mourning) and collector of recipes she will never attempt. She encourages a general lack of decorum and has a great appreciation for cleft chins, vulnerably brooding men, and Instagram accounts featuring animals. Especially cats. Also foxes. 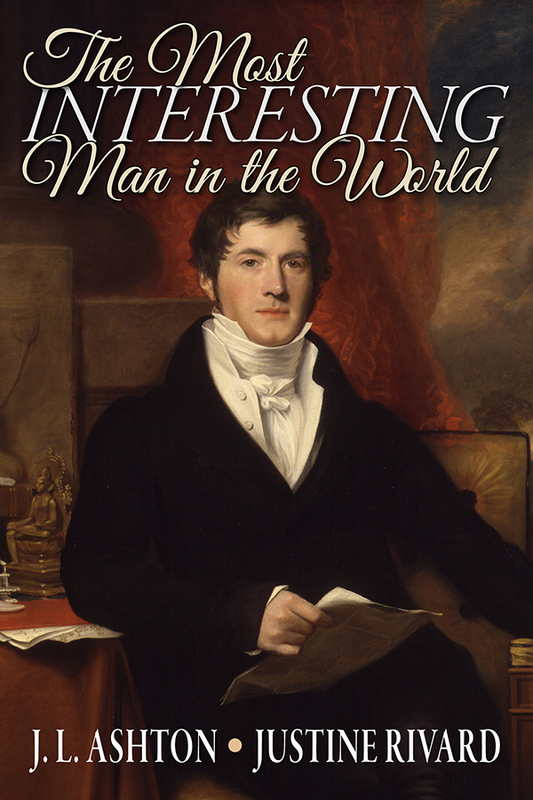 Meryton Press is offering eight eBooks copies of The Most Interesting Man in the World. To enter it, click here. You may have noticed that I was absent from social media last week, but I’m returning with a guest post that is most pleasurable, and much anticipated by me! 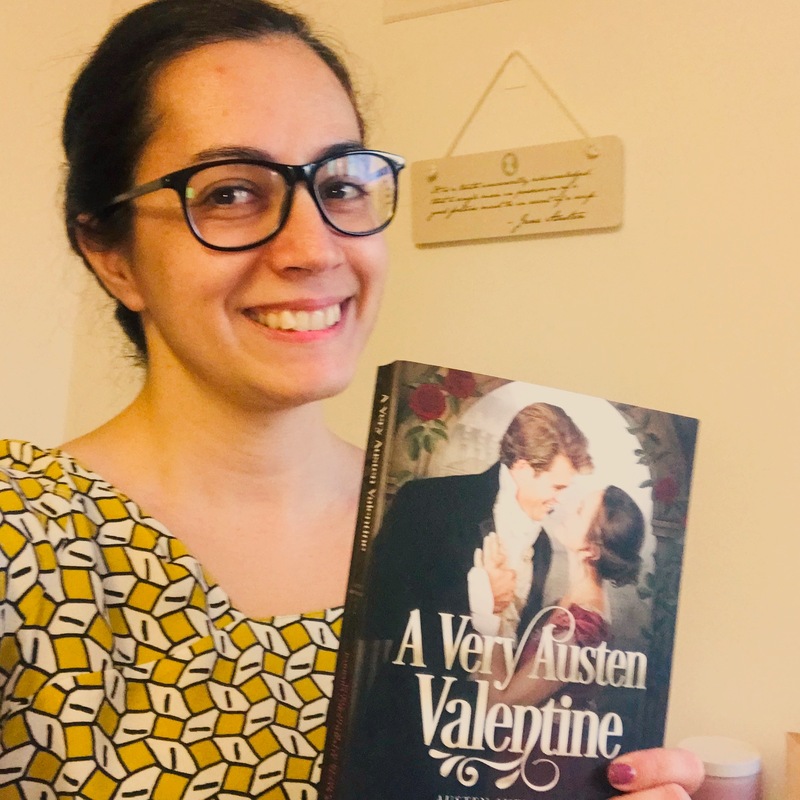 After Pride & Prejudice, my favourite book from Jane Austen is Persuasion and that is one of the reasons why I’m so happy to publish this post today. 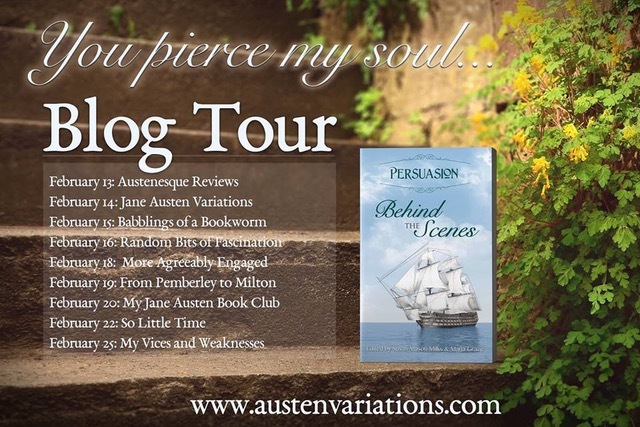 I was very excited to know that a group of authors whose work I respect and admire was coming together to write the scenes we never saw in Austen’s novel, and today I’m very happy to welcome Maria Grace, one of those authors with a wonderful guest post. She will come in the defense of Lady Russell and I hope you are as eager to read her guest post as I am of reading the book (yup, first one one my TBR list!). But what of those scenes that Jane Austen never wrote? 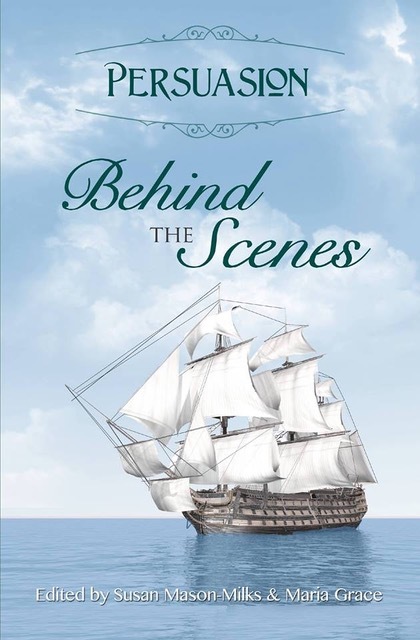 What Persuasion fan doesn’t want to listen in on Anne and Wentworth’s first courtship, laugh at the follies and foibles of the Elliot family, sail along on Captain Wentworth’s harrowing adventures at sea or attend Wentworth and Anne’s wedding. 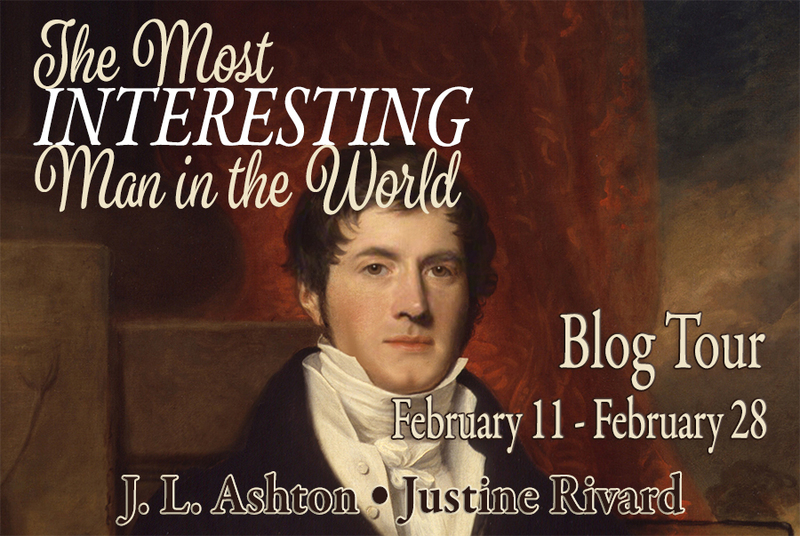 Twelve authors of Austen-inspired fiction: Diana Birchall, Marilyn Brant, Jack Caldwell, L.L. 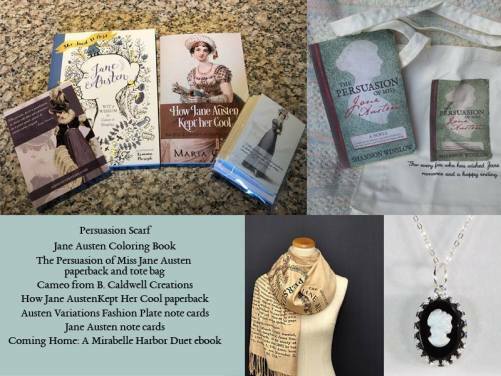 Diamond, Maria Grace, Cassandra Grafton, Kara Louise, Susan Mason-Milks, Jane Odiwe, C. Allyn Pierson, Mary Lydon Simonsen, and Shannon Winslow collaborated to put this unique collection that fills in “missing” scenes from Austen’s classic work, sure to delight any true Persuasion fan. Lady Russell: Meddling God-mother or Faithful Friend? To many readers, Lady Russell is the villain of Jane Austen’s Persuasion. Afterall, Lady Russell persuaded Anne to refuse Wentworth’s first proposal, largely setting the plot into motion. It seems so clear: Lady Russel is class conscious, snobby and should not have interfered in Anne’s life so freely. Right? Maybe, maybe not. A closer look at the text suggests that perhaps there might have been more to Lady Russell’s advice than class-consciousness and indifference to Anne’s wishes. In fact, there could have been some really good reasons. But what possible motives might Lady Russell have had that would justify her near disastrous advice to Anne? First off, Wentworth was an unknown stranger who attached himself to Anne after only a very brief romance. He had neither wealth not any real connections, and his profession was the Navy. Considering the era, each of these were significant marks against the young suitor. With Wentworth’s lack of fortune and connection, Anne’s future living situation would certainly have been a big question. During their early acquaintance, Wentworth appeared to spend money freely, giving an impression that he might not be a wise manager of finances. So, even if Anne had a good dowry, which isn’t very clear in the text, Lady Russell may have had very serious questions as to whether or not there would be money for Anne to live off of. Even more significant, sailors were gone for long periods of time. There was a very real possibility that Anne would be left as a young wife, pregnant and living in a port city without any support system around her. With all the danger of childbirth and the need for assistance through it all, Lady Russell had reason to worry whether Anne would have what she needed. Moreover, the mortality rate of men in the navy was staggering. There was a very good chance that when Wentworth left, he might never return, thereby leaving a widow and possibly a small child in uncertain financial conditions. Even if Anne were to return to her father’s home, Sir Walter Elliot was not in a good financial state himself and might not have been able or willing to take Anne and a child in. In the Regency era, women of the upper class, unless they were wealthy widows, were usually entirely dependent upon their husbands or fathers. Jane Austen provides us a poignant picture of this in Anne’s friend, Mrs. Smith. The stark financial realities of the era meant that a woman had to have a husband who could provide for her and her children. For Anne to walk into a situation with such a high likelihood of leaving her in desperate straits would naturally alarm Lady Russell and move her to dissuade Anne from such a very risky match. A careful reading of the book, though, suggests an even more sympathetic reason for Lady Russell’s opposition to the match. Jane Austen describes Anne as very much like her mother. Lady Russell knew and esteemed Lady Elliot and was aware that Lady Elliot had married her husband in a youthful infatuation and was not happy in her marriage. Lady Elliot made the best of the difficult situation, though and managed the silliness and vanity of her husband admirably. After the death of Lady Elliot, Lady Russell looked upon Anne as a favorite and friend. She would have wanted the best for Anne and likely saw an alarming similarity between Anne and Wentworth and Lady Elliot’s youthful infatuation with Sir Walter. Knowing the grief that it brought her friend, is it any wonder that Lady Russell wanted Anne to avoid making the same mistake that played out a generation earlier? If all this is so, then why would Lady Russell have pushed Anne to accept Sir Walter’s scheming heir presumptive, William Elliot? Perhaps it was his excellent manners that first attracted her attention. His financial security as heir of Kellynch could not have hurt his cause. But in all likelihood, William Elliot was the first person Lady Russell ever saw as truly admiring her favorite goddaughter. Granted, we, as readers, were able to see him through less rose-colored glasses, but Lady Russell had no such reason to be suspicious. To her, finally a worthy man paid Anne proper attentions. Although it is not what Austen wrote, consider this: had the most likely outcomes taken place, Wentworth dying at sea or returning home as poor as he left, and William Elliot being just as he appeared, Lady Russell’s advice would have been hailed as the making of Anne Elliot. It seems to me that, without an omniscient narrator to tell her things she could not otherwise know, Lady Russell’s advice was actually quite sound. Really, her biggest mistake was not predicting that Wentworth would go on to be successful enough to support a wife and family. So, far from being a meddling busy body who only succeeded in making Anne and Wentworth miserable for the years until their reunion, I think Lady Russell was a well-meaning friend, who dispensed advice which would have been considered excellent had things turned only a little different. In Defense of Lady Russell; or, The Godmother Knew Best by JOAN KLINGEL RAY. Persuasions #15, 1993, Pages 207-215, a JASNA publication. She has one husband and one grandson, two graduate degrees and two black belts, three sons, four undergraduate majors, five nieces, written six different series, built seven websites, started her eighth year blogging on Random Bits of Fascination, sewn nine Regency era costumes, and shared her life with ten cats. 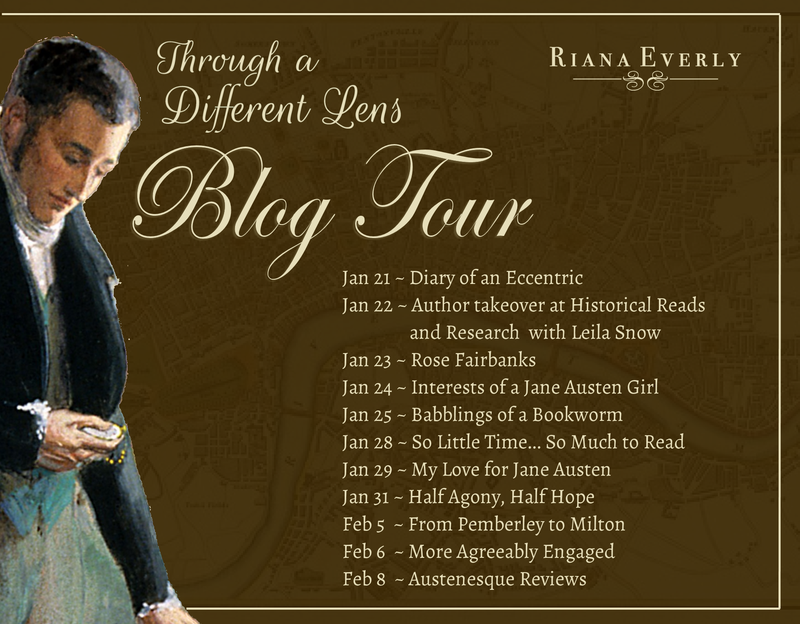 I’m delighted to be visiting From Pemberley to Milton today on my blog tour for Through a Different Lens. Thanks, Rita, for hosting me. In Through a Different Lens, Elizabeth recognizes that Mr. Darcy might not be intentionally cold or arrogant, but might instead have a disability which hinders his ability to function comfortably in social situations. In other words, Mr. Darcy has Asperger’s Syndrome, a form of “high-functioning” autism. Armed with this understanding, Lizzy attempts to befriend him, which sets off the action of the story. Lizzy’s experience with autism comes from working with her young cousin and learning from his governess Miss Pierce, a most capable woman who has studied the works of Dr. Benjamin Rush (1746-1813). The name might be familiar to American readers, since he was one of the signers of the Declaration of Independence. He was not only a politician, though, but also a well-respected physician who changed how mental health issues were seen. In fact, he is known as “father of American psychiatry” for his work with the mentally ill. Although we now know that autism is not a mental illness, but rather a neurological difference, at the time of this novel and when Dr. 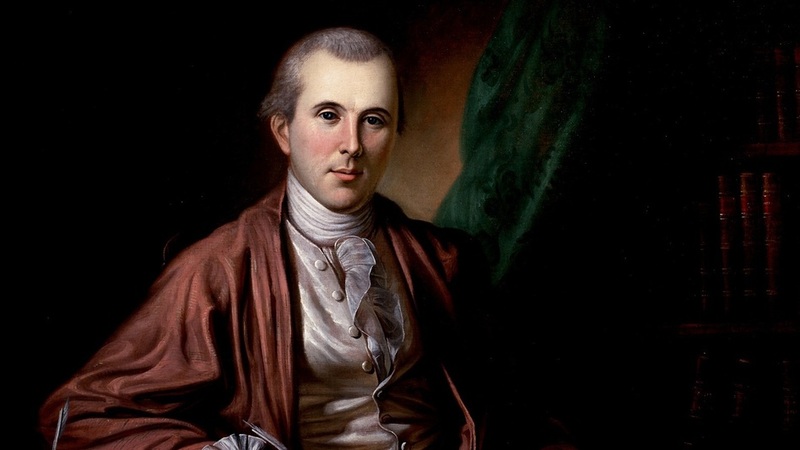 Rush was writing, people with developmental issues were often treated similarly to the mentally ill.
Benjamin Rush, the medical doctor and Founding Father, took after the Renaissance-man civic participation of his mentor, Benjamin Franklin. Rush, who completed his MD at the University of Edinburgh in 1768, believed that mental illness was not a sign of demonic possession or some other weakness of character, but that it had physiological causes (he incorrectly thought it the result of faulty blood circulation in the brain). Therefore, he believed mental illness could be diagnosed and treated. One significant result of this was that he called for the humane treatment of the mentally ill. Rather than condemning these sufferers to a life in Bedlam, or with locks and restraints, he advocated the need for kindness in their treatment. He also pioneered a therapeutic approach to addiction, claiming the physical properties of alcohol rather than a weakness of character as the cause of alcohol addiction, and interestingly, was one of the first to identify Savant Syndrome when he described the abilities of Thomas Fuller, a slave who was a lightning calculator in 1789. As an interesting footnote to this novel, Savants pair their incredible abilities with some significant neurological or developmental disability, such as autism. What Elizabeth Bennet and her friend Miss Pierce learned from Dr. Rush, however, is the importance of treating those who are different with a gentle hand and with sympathetic humanity. In other words, Lizzy learned the importance of kindness, and it is with this lesson in mind that she approaches the cold and inscrutable Mr. Darcy. With Miss de Bourgh and Colonel Fitzwilliam holding court, the entire gathering was rather pleasant and Elizabeth found herself enjoying the occasion rather more than she had anticipated, until the door opened once more and Lady Catherine sailed in with Mr. Darcy in her wake. Immediately the atmosphere in the room changed. In the moment it took for Lady Catherine to walk across the room and seat herself in the throne-like chair by the fireplace, Anne returned to the timid and sour creature Elizabeth had first encountered, and Colonel Fitzwilliam’s easy smiles and effortless gallantry became stiff formality and cautious glances. The alteration was sudden, striking and most unpleasant. Intrigued by the glimpse into Anne’s character when not terrorised by her mother, Elizabeth attempted to continue the conversation the two had been having. Anne answered neatly enough, but it was evident that she was measuring every syllable by what she deemed Lady Catherine would approve. So fascinated was Elizabeth by this phenomenon that she nearly missed overhearing the colonel as he spoke to Mr. Darcy. As these words dropped from those cruel lips, Elizabeth felt her shoulders stiffen and her entire mien shift, just as that of Anne de Bourgh had transformed with the arrival of Lady Catherine. Colonel Fitzwilliam must have observed this, for he now hissed at his cousin, “Darcy, we must speak. In the steward’s office. Now!” The shuffle of boots across the marble floor told Elizabeth that the two men had left the room, and she resisted the urge to feel the back of her neck to ascertain whether her skin was burning from the intensity of Mr. Darcy’s stare. Horrid man! He was rude, cruel, uncaring, unthinking… he could not even be bothered to say so much as ‘good afternoon’ to her! Well, it was of little matter to her, for she resolved never to have another word with the arrogant man, just as she was certain he wished never to be in her presence again. That was settled, then. They should suit perfectly! She fretted and stewed as the tea was served, thankful now for Anne’s lack of conversation and for Lady Catherine’s claim on Charlotte’s time. As quickly as the Collinses and their guests had been summoned to Rosings, so they were dismissed. Between one sip of tea and a nibble of cake, Lady Catherine announced that the party was over and that it was time to depart. To her credit, Anne looked distressed at her mother’s discourtesy, but said nothing, being reduced once more to a shell in the fierce lady’s presence. Elizabeth’s only regret as she took her leave was that she had not been able to converse with the colonel, nor to say good-bye to him. For the rest, she was more than delighted to be out of the house. What a strange family this was! For all her grand gestures and her elaborate displays of noblesse oblige, Lady Catherine was nothing but a petty tyrant, ruling through fear rather than through respect. The mistress of Rosings might be obeyed, but she was also undoubtedly despised behind many a closed door. How preferable was Elizabeth’s own father, with his middling estate and the goodwill of his tenants, than were Lady Catherine’s great riches and the cowering or scorn of these beholden to her. Of these, the most poorly done by was Anne, the lady’s own daughter, to whom all the wealth and prosperity of Rosings truly belonged. Although not blessed with fine looks or a hale constitution, those few minutes of candid conversation had proven Miss de Bourgh to have a fine mind and a pleasing manner, which were crushed under her mother’s imperiousness. How the heir to Rosings might have blossomed if only she had been treated with a little kindness! That word nearly stopped Elizabeth as she walked. Kindness: she had seen the outcome of its lack in Anne de Bourgh; she had seen its liberal application work wonders with Sammy. She had the choice of these, and she chose the latter. It seemed unlikely that Mr. Darcy would deign to be in her presence again—he could not lower himself to deal with one such as she after all—but should the occasion arise, she would strive to be kind. Perhaps one day that cold and cruel man might learn something of the idea and might try some kindness himself. To the unlikelihood of that occurrence, she could only give a bitter laugh. You can follow Riana’s blog at https://rianaeverly.com/blog/, and join her on Facebook (https://www.facebook.com/RianaEverly/) and Twitter (@RianaEverly). She loves meeting readers! 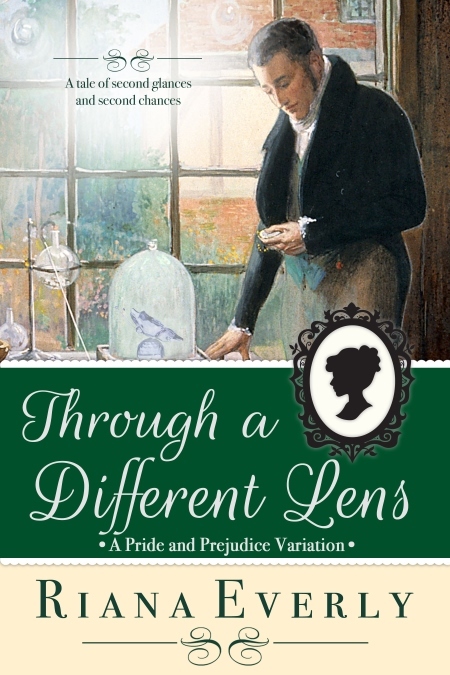 Riana Everly is giving away five copies of Through a Different Lens to readers world-wide! Just sign up through the Rafflecopter widget to enter. If you prefer not to use Rafflecopter, send her an email message (riana.everly@gmail.com) or leave a note on her Facebook page, and she’ll add you to the list for the draw. My favourite JAFF stories are the ones that place Darcy and Elizabeth trapped in a small space, and when that small space is a cottage during a winter storm I just cannot resist them. I start reading stories like these and I cannot put them down often spending entire nights reading them, and that is exactly what happened with Jennifer Joy’s latest book. 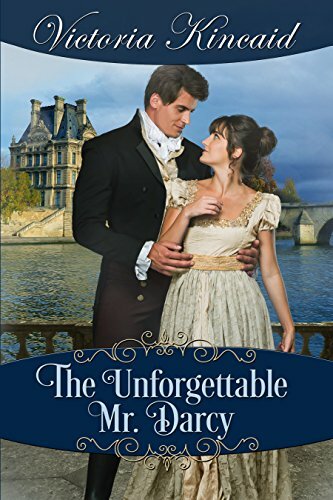 She worked on a plot that I absolutely love but brought a lot of innovation into it by adding Bingley and Jane into the story, the result was an incredible book, hard to put down and completely addictive. You already know how this books starts, but do not be deceived by thinking this will be a simple story of getting caught in cottage during a snow storm, this is a Jennifer Joy book after all, and that means that there is much, much more going on. 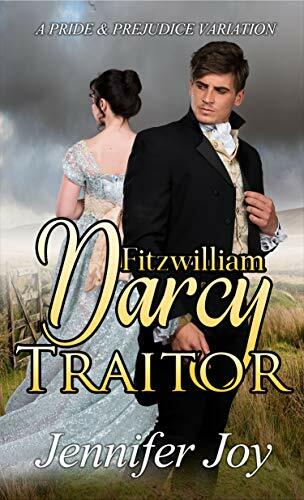 Fitzwilliam Darcy, Traitor is an adventurous book that will take the characters on a quest for justice and where Elizabeth shows time and again how faithful she is to Darcy. Her love is stout and unquestionable and so is his devotion for her. That was one of my favourite parts of the book, I love to read stories where their love is stronger than anything, and I believe most readers will feel the intensity of their love too. But the writing was also an added value in this book. Jennifer Joy doesn’t leave room for a dull moment in it and you’ll find yourself turning pages as if there was no tomorrow. Despite being filled with action, we have lots of Darcy and Elizabeth moments in this book and I absolutely loved every single moment they spent together because Jennifer Joy can always make them romantic, intense but clean and sweet at the same time. These moments were crucial for an engaging and compelling story I could not put down. Some aspects of the book may seem a little far-fetched but Jennifer Joy has an incredible ability to pull the reader into the story and completely forget about that. Her writing was able to make me forget everything and get immersed in the story as if I was living those events with the characters, and there is nothing better than that when we are reading a book. I want something that makes me forget I am in the 21st century and this book achieved just that as I could not think of anything else except the story. If you are looking for a romance filled with excitement this book is for you! It is hard to put down and it was one of my favourite stories from last year. I have been quiet this week because I started to fully work at a new position within my company and even though I am absolutely loving my new job, this particular week has drained me a little, and consequently this is the first post of the week, luckily it is one of the posts my readers love the most as it announces the giveaway winners names, so I’m hoping that at least some of you will be happy to read it. I would also like to thank Victoria Kincaid for visiting From Pemberley to Milton this month. She brought us an excerpt of her most recently released book, Darcy and Deception, and an ebook copy to offer, so thank you very much Victoria! I would also like to thank all who have supported these authors by commenting on this blog and sharing their love for this literary genre 🙂 This wouldn’t be the same without you. Congratulations girls! I hope you enjoy reading these books 🙂 Can you please send me your addresses to ritaluzdeodato at gmail dot com so that your prizes may be sent to you? Christie Capps’ novellas have become my go to books when I need an easy fix, they provide me pleasurable moments when I’m feeling down and I consider them a sort of comfort book if that is a thing. Her stories are clean, well written, romantic and with the perfect length for this type of book, so when I saw that she had released a new novella called Henry I did not resist and bought it for a moment of need. The moment of need came and I ended up enjoying this story vey much! 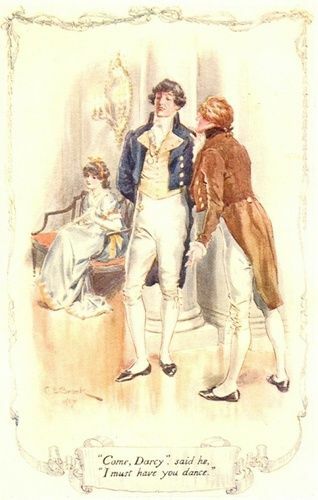 Henry is a beautifully written novella that takes place shortly after the Meryton Assembley when Mr. Darcy is visiting Mr. Bingley at Netherfield. In this variation Mr. Darcy has an adorable puppy named Henry who keeps finding his way into Longbourn and Miss Elizabeth’s company. Mr. Darcy is forced to fetch Henry on a daily basis and that forces him to be in Elizabeth’s company quite frequently. The reader gets to see their pride and prejudice at hand on the initial encounters and even some confrontation, but slowly and due to their shared love for Henry, those initial perceptions start to disappear and their feelings start to change. Every time Henry finds Elizabeth she is reading a book and Christie Capps actually wrote excerpts of the book so we accompany the story Elizabeth is reading, these shifts between Elizabeth’s reality and the story she is reading was my favourite part of the book. In what reminded me of Austen’s Northanger Abbey, the heroine is pulled into the pages of the book she is reading and we are pulled along with her. The similarities of what she is reading and her own life are obvious and we cannot wait for Elizabeth to see that too, and to learn from what she is reading. I felt completely pulled into the story inside the story and this was absolutely incredible! I really loved the writing in the first Christie Capps novella I read over a year ago, but I believe the writing in Henry even surpasses that. 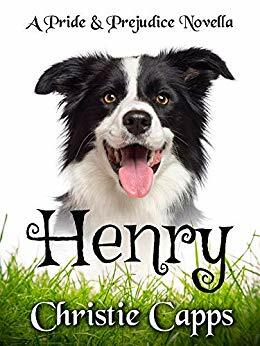 Henry is a sweet and captivating novella and I recommend it to all my readers. I hope you are enjoying your weekend as much as I am! 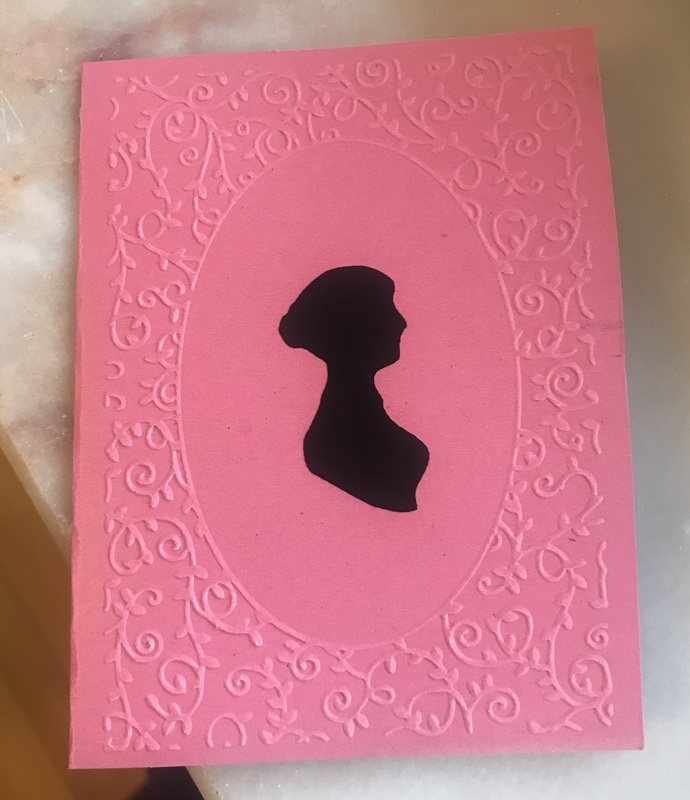 I have finally bought an embossing machine today and started playing a little bit with it, I’m just getting started and I’m not that good with arts and crafts but I was even able to make this postcard, what do you think? Do I have any hope of doing something cool in the future? Happy New Year, Rita, and thank you for having me for a visit! I always enjoy learning about the Regency era when I’m researching my books, and the writing of Darcy and Deception was no different. 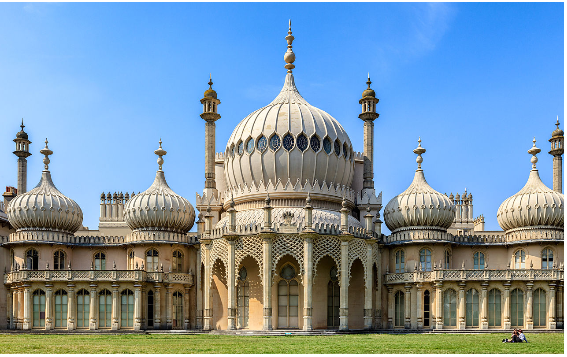 Most of the novel is set in Brighton, home of the iconic Royal Pavilion. While the building is mentioned in the story, it would not have appeared in 1813 the way it does today. Still, I found the story of the Royal Pavilion to be fascinating. The Prince of Wales visited Brighton in 1783 for the first time—having been advised that seawater would be good for his gout. At the time seawater was believed to benefit many different ailments and this helped to fuel the growing popularity of Brighton as a resort. In 1786, the Prince rented a farmhouse in Brighton that faced the Old Steyne—a grassy promenade that was the center of a fashionable neighborhood. The house also happened to be a convenient location for the prince’s liaisons with his mistress Maria Fitzherbert. 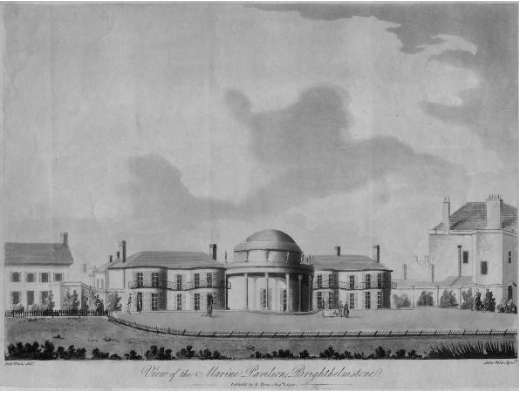 In 1787 the prince had architect Henry Holland design an addition to the existing building. It became one wing of what was now dubbed the Marine Pavilion. Decorated in a neoclassical style, the Pavilion contained three main rooms: a breakfast room, dining room, and library, flanking a rotunda. In 1802 the Pavilion was further enlarged with a new dining room and conservatory. The prince bought the surrounding land and had stables built to house 60 horses. It was not until 1815 that work on the final design phase began—based on plans by John Nash. This construction (finished in 1822) gave the Royal Pavilion its distinctive façade and the Indian/Chinese/Islamic flavored architecture that seems so out of place in an English town. It is considered excellent example of the exoticism that was an alternative to the Regency’s more predominate classical style. Unfortunately, because Darcy and Deception is set in 1813, Darcy and Elizabeth do not get to visit the Royal Pavilion in all its exotic splendor. But the building does play a role in the book, and the Prince Regent makes a guest appearance near the end of the story. Still, it’s fun to imagine what they would have made of such fanciful architecture. I suspect Elizabeth would be delighted by the whimsy, and Darcy would be appalled by the lack of neo-classical design elements. Below is an excerpt from Darcy and Deception. Please enjoy! . “Darcy, sit down. Simply watching you makes me restless!” Bingley complained as Darcy made his seventh or eighth lap across the drawing room floor, seemingly attempting to wear a path in Netherfield’s carpet. “Imagine if Jane were in Brighton with that blackguard!” Darcy growled. Bingley pressed his lips together until they turned white. “He could compromise her—make her marry him. Or force himself upon her!” Unable to contain his energy, Darcy launched himself from the chair and resumed pacing. “Well, the colonel is a level-headed man,” Bingley said. “He has other duties; he cannot watch her all the time.” Darcy’s hands clenched into fists as if preparing to fight. “An auspicious beginning to a courtship,” Bingley remarked dryly. “Ladies have pursued you. It is not precisely the same,” his friend said with a grin. “It cannot be that difficult,” Darcy grumbled irritably. “It would not be difficult if you were not the last man on earth she would ever consider marrying.” Bingley shrugged. Of course, Bingley was right. Who was Darcy fooling? He and Elizabeth had parted on the least amicable terms imaginable, following the world’s most disastrous offer of marriage. Sinking back into his chair, Darcy closed his eyes and dropped his head. “I would welcome any advice you might have on the matter.” He had no pride remaining when it came to Elizabeth Bennet. Darcy would give anything to be in his friend’s place. “Are you certain you do not wish me to accompany you to Brighton?” Bingley asked. The offer was tempting, but Darcy shook his head. “You must remain here and woo your lady. 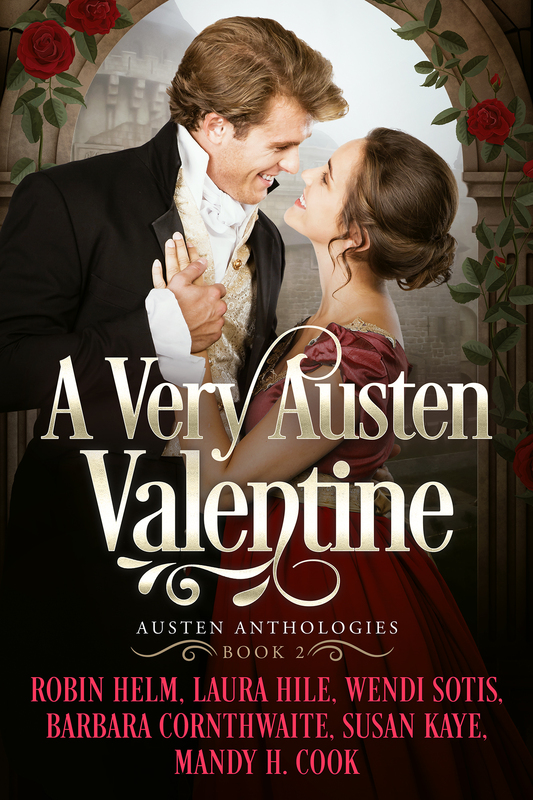 I will either stand or fall on my own merits.” He fervently hoped she would listen to reason—that her future happiness did not rely on Darcy’s paltry courtship skills. 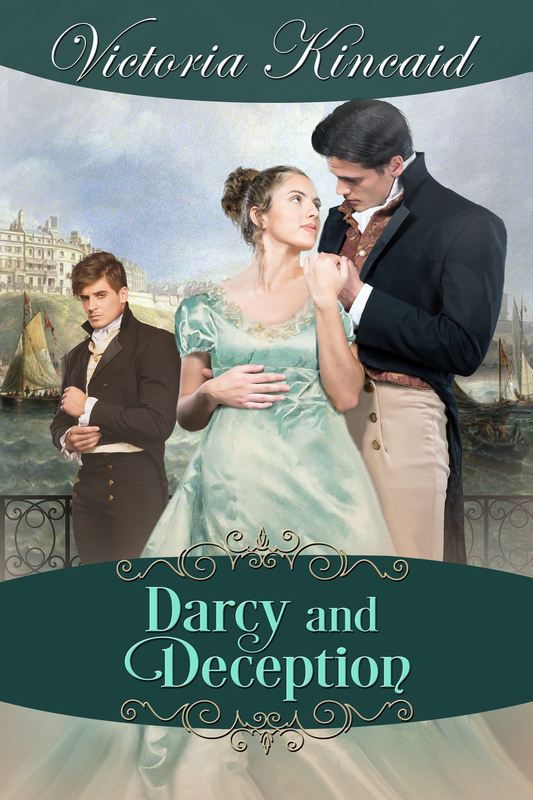 Deception piles on top of deception as Elizabeth attempts to carry out her mission without betraying confidences—or breaking Darcy’s heart. However, the French plot runs deeper than she knows; soon she and Darcy are plunged into the confusing and dangerous world of international espionage. Can Darcy and Elizabeth escape with their lives and their love intact. To enter the giveaway all you have to do is comment on this post and share your thoughts on the excerpt Victoria shared with all of you.